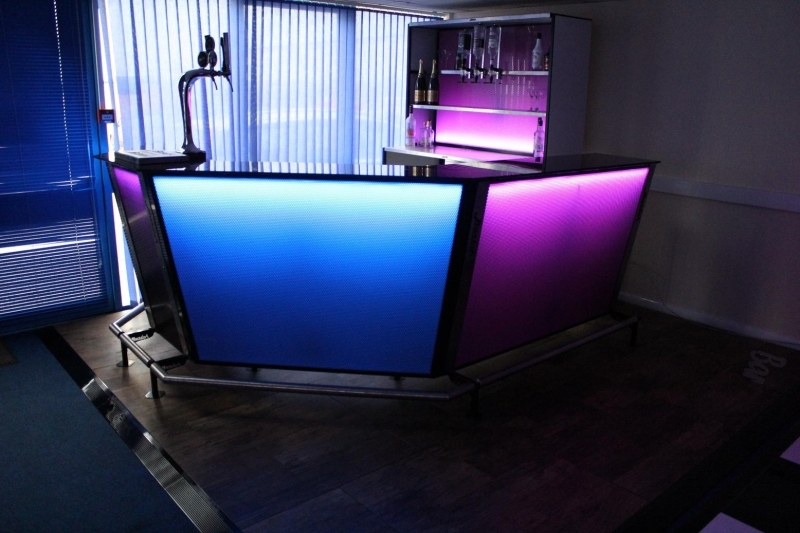 This is our top of the range bar. 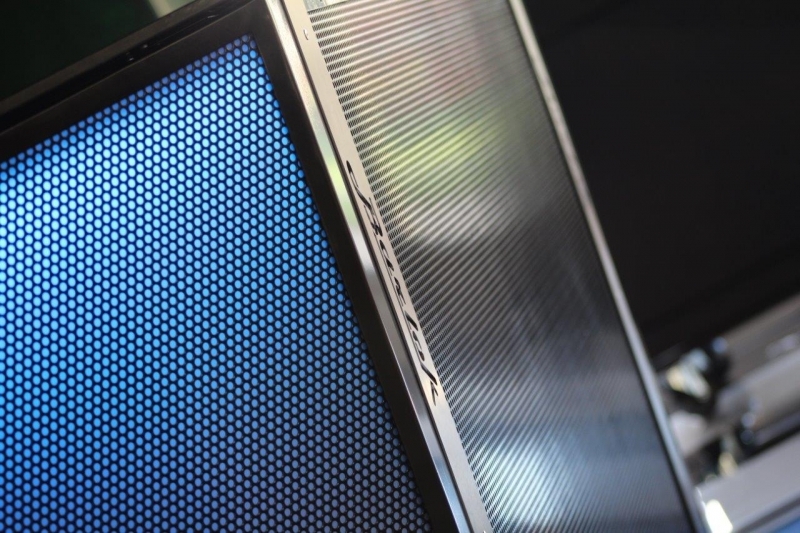 Quality always shines. nothing home made here! 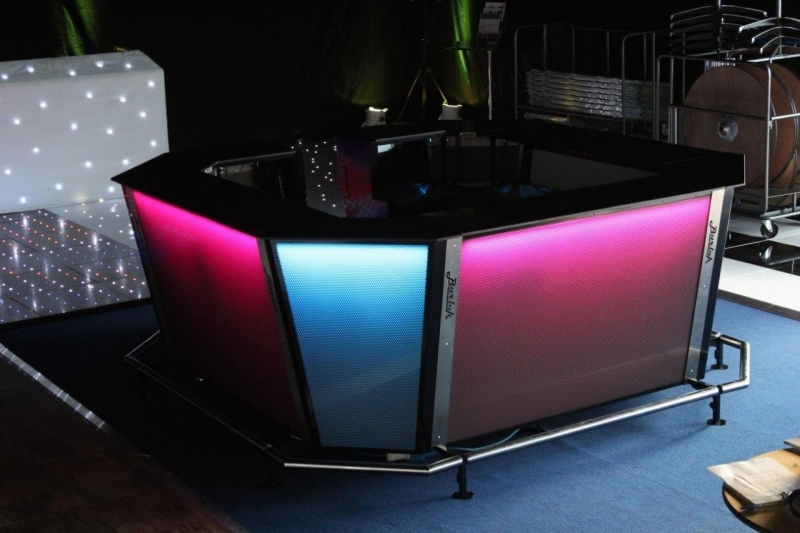 we can light this with various colours to suit your theme or keep it turned off for pure style. 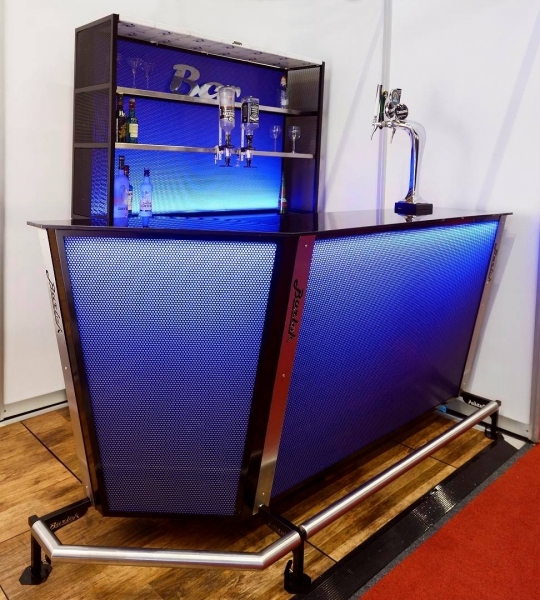 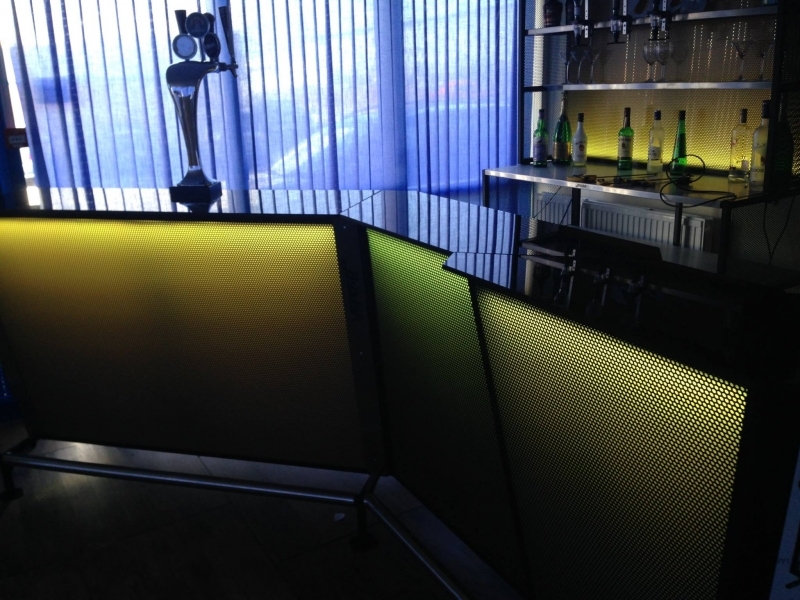 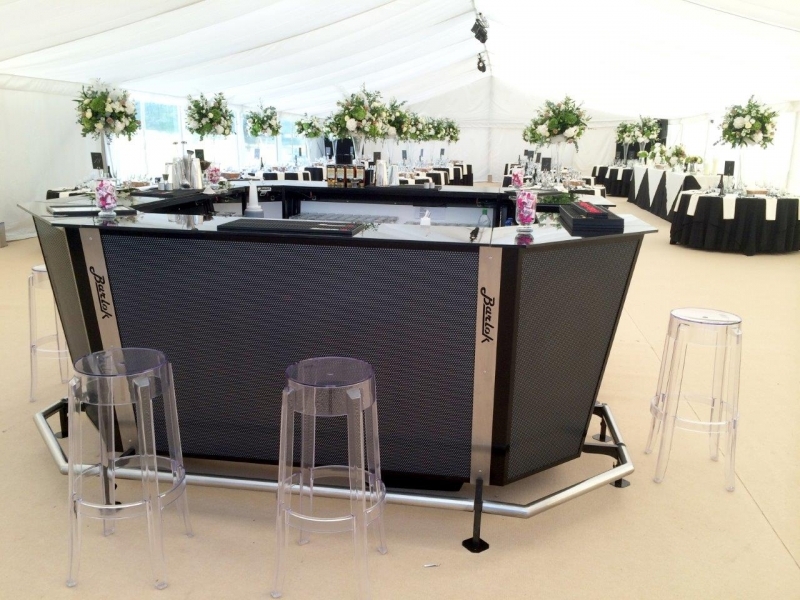 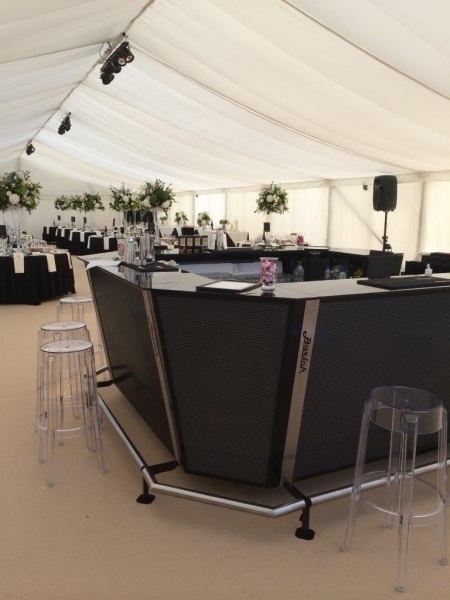 you can hire just one section of LED bar, several to make a complete octagonal bar or add angled units to fit in with the space you have to work with. 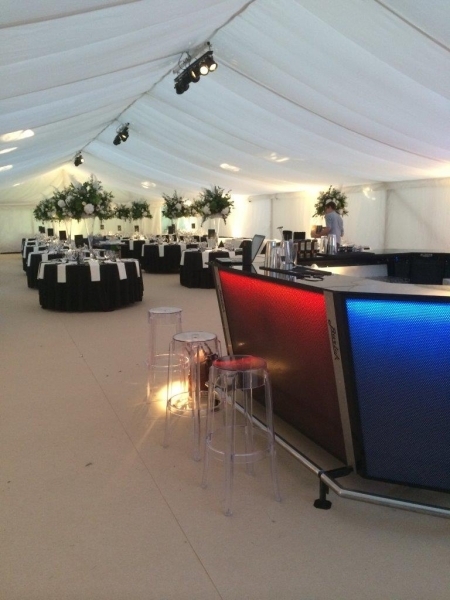 stunning addition to any event. 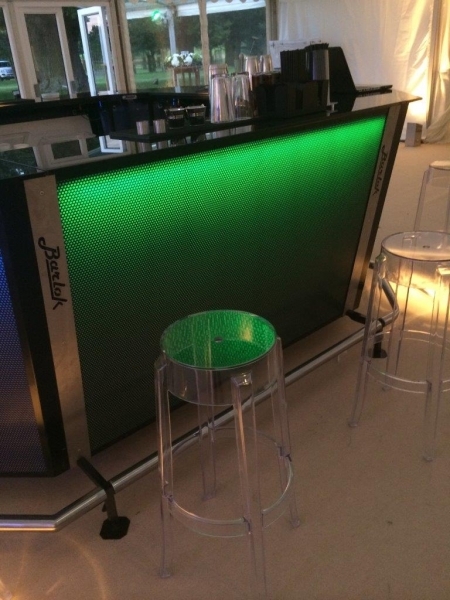 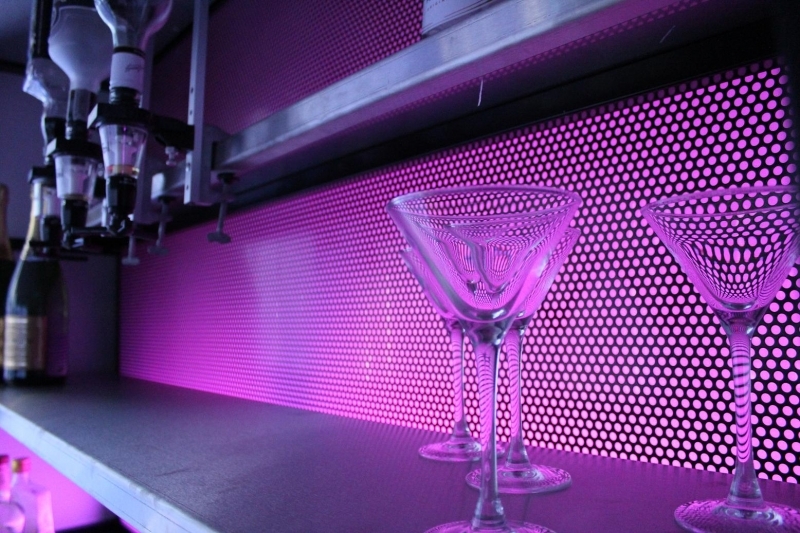 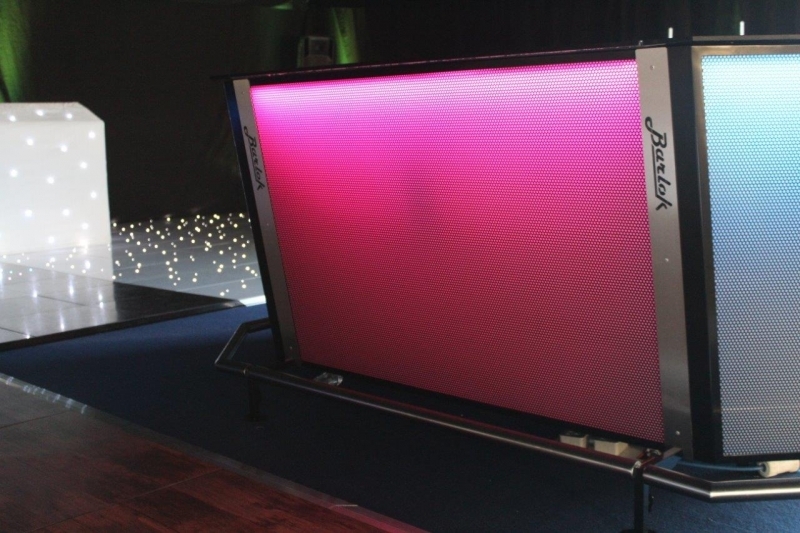 the raked LED, DMX controllable bar frontage and additional footrest, highlights the bars appearance and sets it apart from the competition.